I find Banoffee’ists can be territorial but this is a bit of a fail safe to the most discerning and determined. Sometimes you need a little luxx, and if the luxx uses up tired cookies and biscuits. Turning a fridge raid into a diner party delight? Combine whipped cream (soft peak) to ever so slightly softened vanilla ice cream with ½ teaspoon of vanilla essence. Cut and fold the ice cream and vanilla into the cream. Roughly equal quantities of ice cream to whipped cream, then place into a piping bag fitted with a star nozzle and return to the freezer for a few minutes if too soft. ….no, I am not talking about the old children’s nursery rhyme. When I was in the city, I made my pin-money by participating in market research for two different firms. Obviously,I am no longer in the big city, but did a little happy dance this afternoon. Evidently, I responded to an email from them and qualified for a study to be done on line.I thought that was really awesome: on-line.All the fun of being in the big city without the hassle. It so funny when I stop to reflect back on what I have participated in.What’s even funnier is when I watch television and see ads for products I helped develop.Back in the meeting, we saw pictures of concepts and suggested changes and viola’! The changes are in the commercials! As I have gotten older, the products I qualify for have changed, and I laugh.Sure there are some food products still thrown my way, but once you’re retired, I guess it opens up a whole new world of stuff. One thing that she asked me tonight, I guess to make sure I’d be a good contributor to the study is I had to tell her 5 out of the box ways to use a stapler. Thank God the liberal artist still has got it! Posted on March 31, 2015 March 31, 2015 Categories age, commercials, lifestyle, marketing, on-line atudies, televisionTags age groupings, liberal arts, meetings, products, staplerLeave a comment on To Market, to market…. So yes, I have been sucked into the Voice. I have gone through the blind auditions, the knock-outs, and the stuff that comes after.I have seen them with their mentors and advisors and my head, quite frankly, is spinning.Telling singers they have to be open and honest? Jeez, I thought they pretty much were. Shows what I know, right? I still have switched allegiance to the Voice from American Idol.Sure,it was nice to see raw talent like Carrie Underwood, but these seasoned voices rock! Once again, I found myself surfing the channels and saw movie after movie and then what did I see? 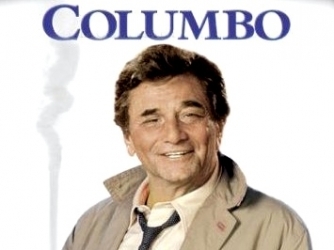 The Hallmark channel was running back to back Columbo episodes. For those of you not versed in NBC Sunday night mysteries, later on ABC, or weren’t around back then, well…Sunday night mysteries had different characters/series running each Sunday. One week was Columbo, a police detective starring Peter Falk. Another was McCloud, starring Dennis Weaver, followed by Banachek, played by George Peppard.Susan St.James and Rock Hudson played McMillan and wife.and lastly Jessica Walter as Amy Prentiss.It was basically whodunit Sunday, of which Columbo was my favorite. It wasn’t quite the golden age of television, but it was great. So the first day of spring was the other day, right? Can’t prove it by me. We went for shopping this afternoon and as I was trying to pick out Easter flowers, there were snow flurries in the air. 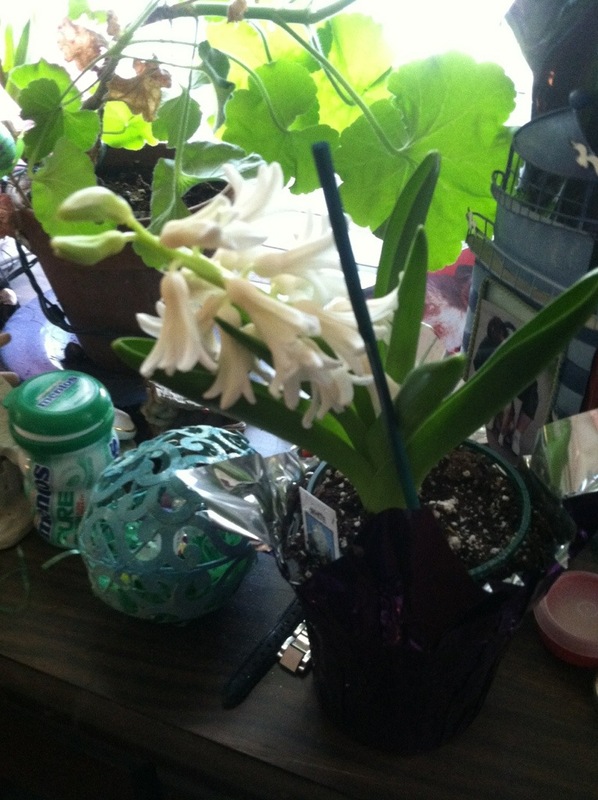 It brought back memories of my Mom, who would tell me how, at my oldest brother’s First Holy Communion, in May, back in the early fifties, it snowed.They couldn’t take pictures of the kids at grotto areas for keepsakes due to snow.The thought brought a smile to my face, and drew me to a pot of three white hyacinths.Tradionally, my brother in the city with me would pick up a purple hyacinth for her, I would get her a white one, and my Dad would buy Mom a lily.The memory brought a smile to my face. Once the flowers fade away, I’ll have the bulbs to come up each spring to renew the memory. Posted on March 28, 2015 Categories Easter, Easter and its' traditions, hyacynth, mom, snowTags brother, Easter lilies, flurriesLeave a comment on Spring this…. What is it about hair? I decided to try to let mine grow out a little bit.An end result of that is I went to an interview looking like a rag mop. Well, not really, but you get the idea.Time to visit my local salon, called “Cuttin’Edge. I went and got my hair done today and it is incredible what a trim will do, and I also got my”skunk stripe”, as I affectionately call it,covered.It is amazing what a little bit of TLC to the body does to the soul.Even out of a” working” environment, you get wrapped up in a daily grind and even a pass at a mirror brings your thought to “tomorrow”. Well my tomorrow was today.I went to my salon and hung out with a few of my buddies and had a blast.I find it ironic that you, regardless of length of hair, go to a salon to”let your hair down”, as it were. 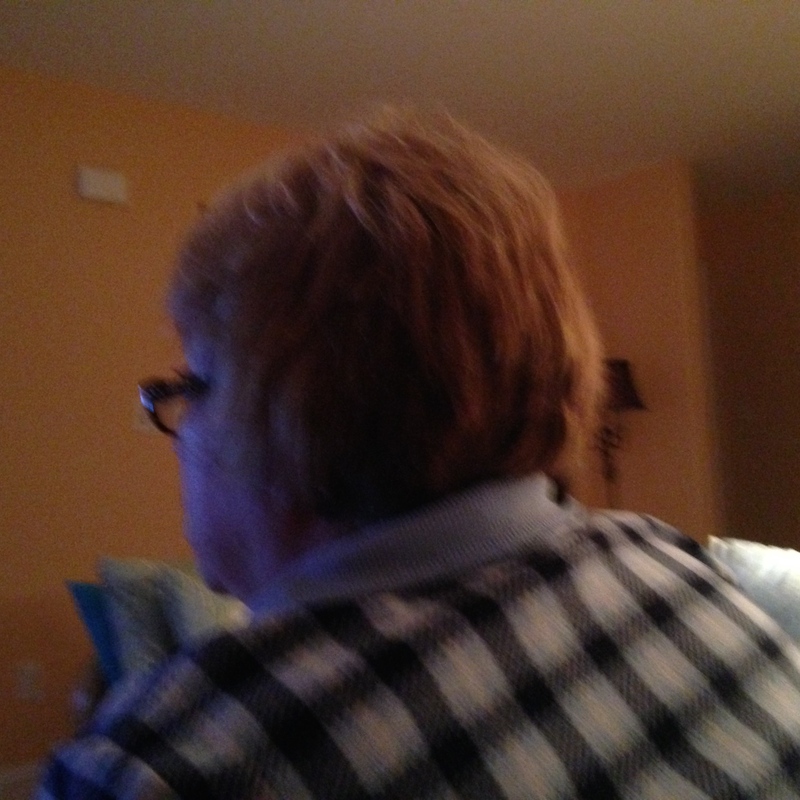 Here’s a view of the back of my bob in training cut.We’ll see how I make out. 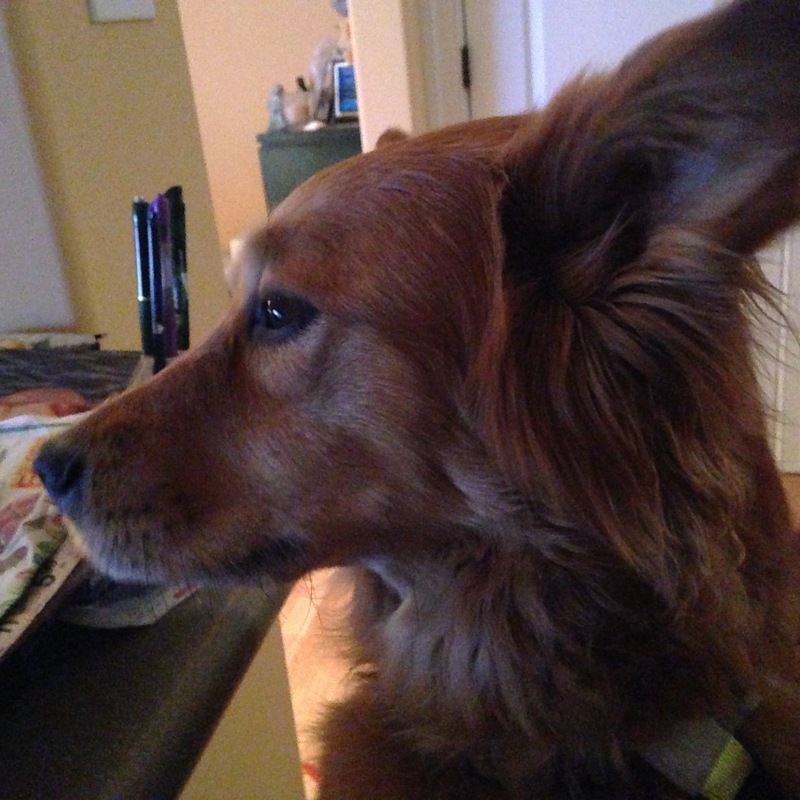 I did a post the other day about the reason my heart keeps beating…my Zush. In all fairness, I have to post about the other reason it ticks, and that is my Kasia. Kasia is a golden retriever and chow mix.This spring she turns six.Since we adopted her, she has put a little spring back in Zush’s step.The chow in her has made life with her crazy: we never had a dog that barks until we had Kasia come to live with us.She was hard to walk out with people, but the chow in her made her very protective.When it is just me and Jim and Zush alone in the house, she is nothing but a love muffin.The picture inserted above is one of Kasia, as I typed this, she came up on my leg to get her belly rub.Mind you, she still barks at folks going by, but as she gets older,she becomes a little more sedate. She’s still my Kasia and she is a Sweetie!